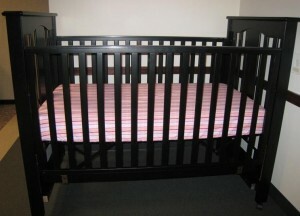 About 156,000 drop-side cribs are being recalled for repair by the Million Dollar Baby company of Montbello, California. The full-sized cribs’ drop sides can detach, malfunction or otherwise fail, causing a portion of the drop side to fall out of position. This creates a space where an infant or toddler can roll in then get wedged or trapped, which can lead to strangulation or suffocation. 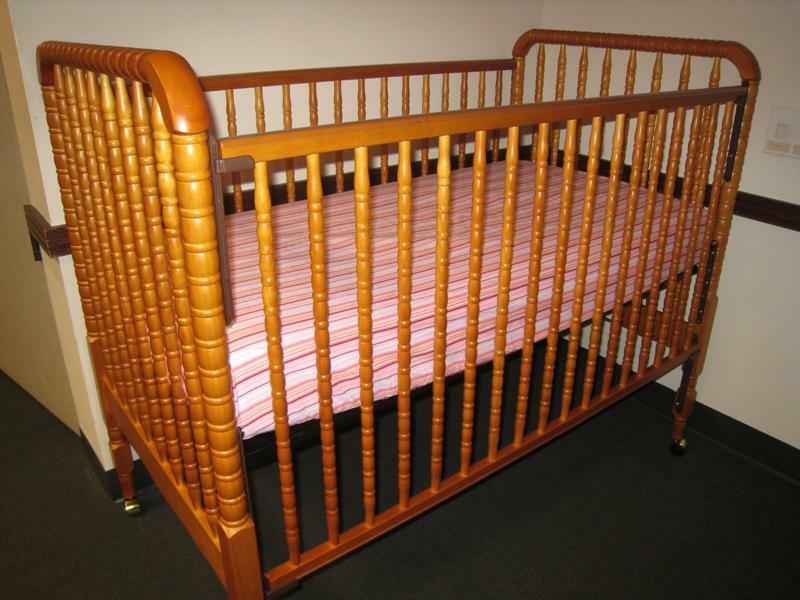 If you have one of these cribs, stop using it immediately. Additionally, the malfunctioned side can allow a child to fall out of the crib. 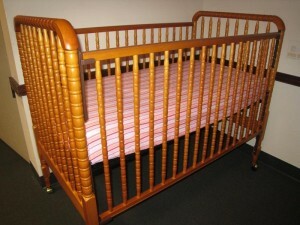 Drop-side accidents may also occure when the crib is assembled incorrectly, and with age-related wear and tear. Million Dollar Baby / Bexco Enterprises is the distributor of the dangerous cribs. The U.S. Consumer Product Safety Commission reports that 43 incidences have been noted due to drop side failures. Also, there have been eight reports of children being trapped between the drop side and the mattress, resulting in three reports of bruising. Three children have fallen out of their cribs when the drop side did not work work properly. The words “Million Dollar Baby” along with the company logo and crib’s serial number are printed on a label on the headboard. The cribs were sold nationwide at retailers and children’s product stores from January 2000 through March 2010 for approximately $100 to $330. Check your crib to be sure it is not one of the following recalled models. If you have one of these, do not place your baby in it. Contact Million Dollar Baby at 888-673-6488 for details and to learn about repair fits which should be ready in a few weeks. If your child has been injured by one of these cribs, or any other recalled baby products, contact the defective products attorneys at Carr & Carr. With two offices in Tulsa and one in Oklahoma City, the lawyers of Carr & Carr have experiences in helping Oklahoma families who have been hurt.